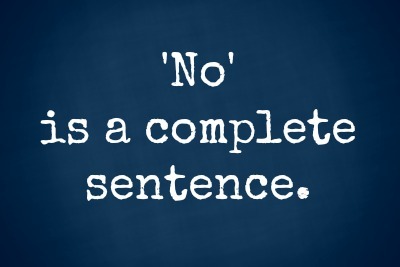 Have you ever struggled to find the “right words” or the strength to say No? You are not alone. Trying to regulate the reactions and emotions of others is a common trait for those who have survived trauma and abuse. Being coerced, manipulated, forced, guilt tripped, and shamed do not have to be a part of your life. You deserve to be free! You have the right to exist, to have your voice heard, and to make boundaries. It’s important to remember that the more comfortable you become with eschewing what does not work for you, the larger your YES becomes. Let’s work on this together! What are ways to say No you haven’t tried, but would like to? When you think of being your strongest and most courageous self, how would you say No? 2. That doesn’t work for me. 3. I’m not willing to. 4. I don’t want to. 6. I’d like to, but I can’t. 7. There’s no way I’m doing that. 9. I’m sorry, but no. 10. Thank you for offering, but I can’t. 11. Get away from me. 13. I don’t have time for that. 16. I don’t feel particularly comfortable with that. 17. I’m not ready to do that. 18. I can’t take that on. 19. That doesn’t jive with me. 20. Nah, I’m set, thanks. 22. Oh, I can’t say yes to that. 23. Thanks, but no thanks. 26. Not right now, thanks. 27. I have to think about that. 28. I don’t agree with that. 30. I’m not down for that. 31. I’m going to evaluate other options. 32. I can’t get my head around that. 33. I’ll have to get back to you on that. 34. It’s looks very interesting, but it’s not for me. 35. I’m not going to play this game with you. 36. I don’t think so. 38. That’s not for me. 39. I will not accept that. 40. That option does not meet my needs. 41. I feel doing that is unhealthy for me. 42. That isn’t viable for me. 44. Get thee behind me, Satan. 45. Someone else might be better suited to that. 46. Not in this lifetime. 48. Not over my dead body. 49. You’re kidding me, right? 52. Seriously?!? I don’t think so. 54. I’ll take that under advisement, thanks. How do you say NO? Please share your experiences or questions in the comments section below. Number 44! Thank you for that Amanda. Was just in an educational toy store today and saw these buzzers. One for yes, one for no. 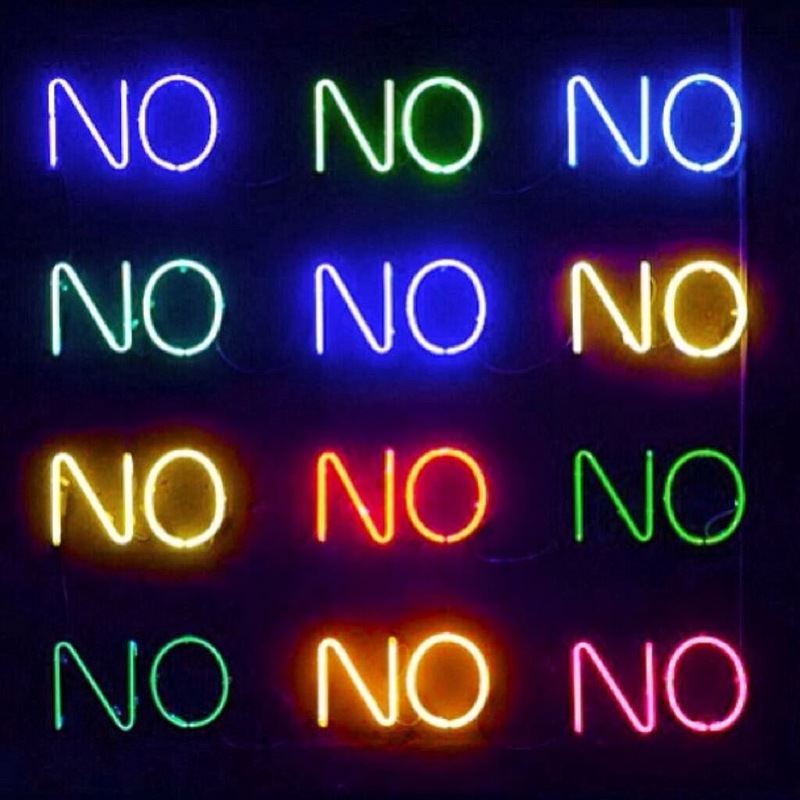 When you hit the “No” buzzer, it went down a list of different “No’s”. It was great! “Nooooooooo.” “N. O.” and so forth. I said to the salesperson that those might be really good for kids with specialized communication needs like autism, but really I think I wanted one for myself. I’m going to give ole’ 22 a try. Excellent list Amanda ~ thank you! Great for kids, “My mother won’t let me.” What say you? Very good quick glance list! THANKS AMANDA,I THINK I’M IN LOVE WITH LIFE AGAIN.ONE OF MY PROBLEMS IS SAYING “NO”.I’M HERE AT 52 YRS OLD JUST FINDING OUT THAT NO IS A COMPLETE SENTENCE AND THERE’S MORE THAN 1 WAY TO SAY IT !!! NOW I’M JUST HOPING THAT WHEN I SAY IT THAT IT WILL BE UNDERSTOOD. SO THANK YOU FOR HELPING ME GET OVER THE FIRST HURDLE.!!!! 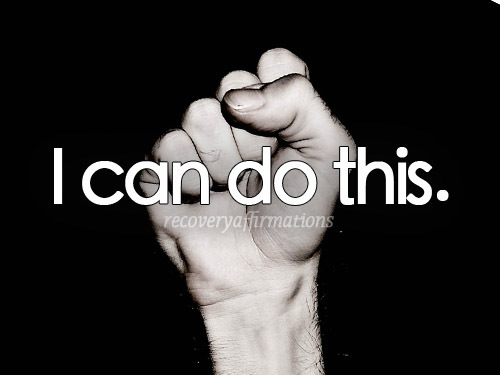 AND I WAS ACTUALLY DOING SOMETHING ELSE TOWARDS MY SOBRIETY AND CAME ACROSS YOUR PAGE.AND I AM SO GRATEFUL BECAUSE I’M ONLY 30 SECONDS( AS WE SAY) IN THIS PROGRAM AND I NEED ALL THE “SUGGESTIONS ” THAT CAN GIVE ME THE STRENGTH,HOPE AND FREEDOM TO LIVE BETTER ONE DAY @ A TIME..